A game that involves fighting alongside Donald Duck, Goofy and a crapload of other Disney characters with a key-shaped sword probably doesn’t sound appealing for most college students. However, with a variety of combat mechanics, a story that, all-be-it confusing, leaves the player with a great experience and side activities that can have someone lose hours without even thinking it, Kingdom Hearts 3 delivers a game worth the 14-year wait. Kingdom Hearts 3 follows Sora, a young boy entrusted to defeat the forces of darkness before the evil mastermind Xehanort brings about a second Keyblade War. The game is technically the twelfth installment in the Kingdom Hearts series but is the third official main-line game. The game is around 40-60 hours long give-or-take and is the final installment in the Dark Seeker Saga. The fact that this the twelfth game in a series can turn a lot of people away and unfortunately, the plot has been a major detractor for most people first getting into it. That’s understandable, however, if a person is about to head into a 40-hour game, it is pretty reasonable to watch a 10-minute long video recapping the previous games’ major points. One of the best parts of Kingdom Hearts 3 is the characters. Sora, Donald and Goofy playoff as such a likeable group and the interactions that they have with other characters leave the player always rooting for them. They give the game a mature theme of when it’s necessary to feed your inner darkness, how being positive all the time can hurt others at times, how sacrificing happiness is sometimes necessary for a positive outcome, etc. Another warning going in is that this is a very cutscene-heavy game. There will be times where a cutscene will last 5-10 minutes at a time conveying a plot point or a different point of view, yet it is all fantastically done. The game mechanics are where the meat of the game is and super fun. At first, it will feel like the game is giving the player a lot of options right away, however, it does give a lot of grace for first time players and can lead to hours of just fighting, having fun the entire time. 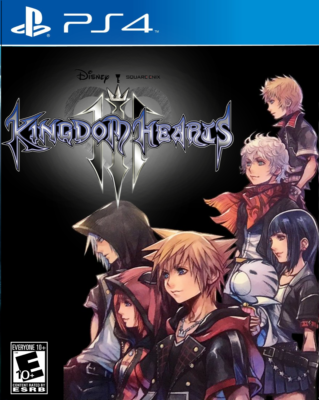 Kingdom Hearts is a difficult game to just pick up and play for 15-30 minutes, but when it is fully digested and enjoyed, it shines at every turn and will leave superfans to the most casual of gamers engrossed in a fantastic experience worth the asking price.